In this video, Mark Wilson discusses some unique situations where Rule 28 could come into play. When incorporating the Unplayable Ball rule for a ball that lands in the bunker, there are limited options that can be utilized. 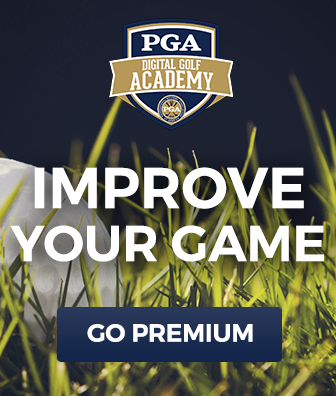 In addition, when faced with a situation where you do not have viable options for taking a drop within two club lengths of the ball, there also are limited options that will most often require the player to accept a penalty stroke and go back to the previous spot and hit again. It’s a common mistake in an unplayable ball situation to believe you may place your ball in play along the so called “line of flight” your ball took. It’s important to know these rules and understand how they could in fact help you when playing against an opponent. 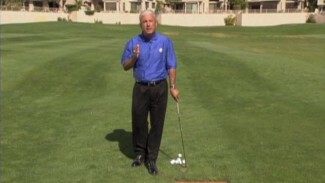 Nice video, but you might want to mention that laying your club in the bunker to “measure” the 2 club lengths is not legal. *The Monkey see, Monkey do Rule is always in effect. Hi, Tom! You are correct. Thank you for pointing that out. The intent was to show in what direction you could drop your ball (as in still within the bunker). But you make a very good point and we appreciate the additional comment. Good luck on the course! 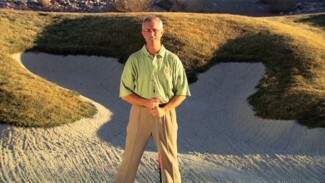 So, what is the legal procedure for measuring two club lengths in a bunker? Hi, dshank! First I want to point out a correction to one of our previous comments. You cannot ground your club in the bunker when the ball is in play, to improve your lie or gain insight to the condition of the bunker. But Rule 13-4 and the Exceptions listed to that rule explain that you can make contact with the bunker surface to mark the position of your ball for a subsequent drop. And you may lay your club in the bunker to mark and identify the two club area you can drop into. An example of a proper procedure in this case would be to mark your ball, such as with a tee, and then lay your club of choice down and mark one club length with another tee. 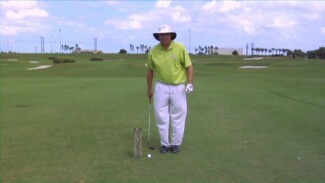 Then place the club down from that spot, remove the second tee and mark the second club length. You may then drop within that area and then pick up the placed tees. Again, the purpose needs to be for marking your ball and measuring your allowed drop area, and done so in a manner that is not intended to gain information on the condition of the bunker. Thanks for your comments and hope you continue to enjoy the site. You are correct that “line of flight” is not in the USGA rules of golf. However, “line of flight” is in many other rules of golf, such as league rules, local course rules, and buddy rules. When most of us play golf, we are not competing in a Pro Golf tournament, and there are other players behind us waiting to play their next shot. Picking up an unplayable lie and proceeding “backward” to the original shot is only going to slow down play. Not to mention, make some players upset. The USGA is trying to find ways to speed up golf and make it more enjoyable to appeal to more players. Including the “line of flight” rule, should be something they need to take a serious look at including into the rules of golf, at least in someway, to allow players to proceed under that rule if all agree to it. That would be another game I think. We, me and my golf mates, we are not pros and we play by the rules all the time. Played in USA some times and obviously they see the game from a different point of view. Playing by the rules is what took golf to continue to exist up to day since almost 500 years ago? Yes. Speed is not a pat of the game. Playing pace is. Complying with the rules may make you loose some beer minutes but it deserves it. And you will still keeping the pace. My vision.